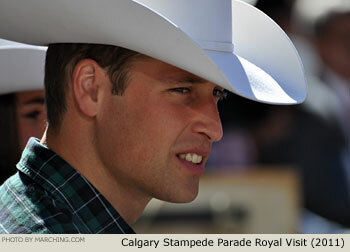 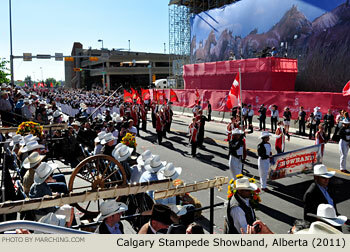 Bands from Canada, Australia and the U.S. performed for an estimated 425,000 spectators as the Calgary Stampede Parade traveled through downtown Calgary. 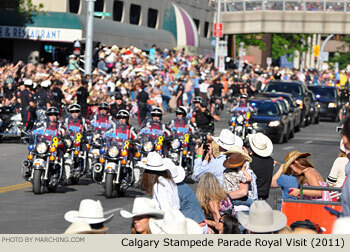 A highlight of this year's parade was a royal visit from Prince William and Kate Middleton, whose motorcade traveled the parade route in reverse before the couple took their seats. 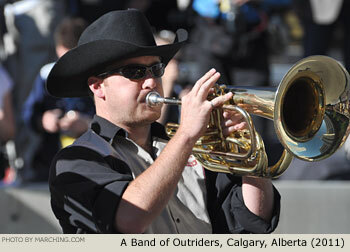 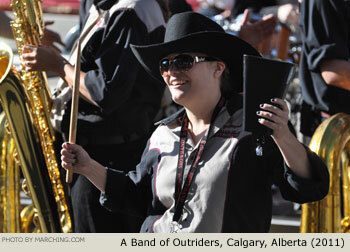 Among competing bands, the Calgary Round-Up Band was named best junior band, while the Oregon H.S. 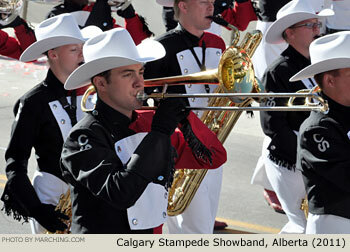 Shadow Armada won best senior band and best overall band. 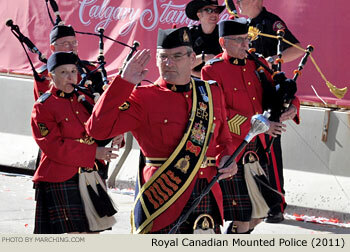 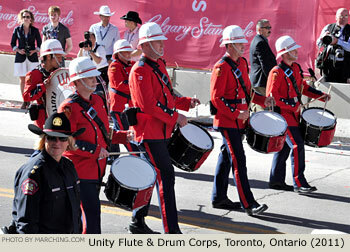 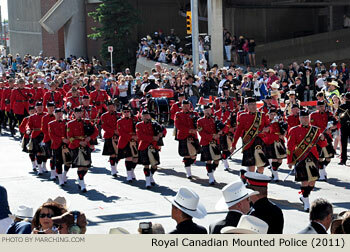 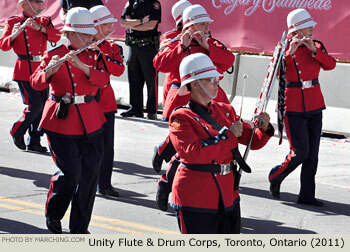 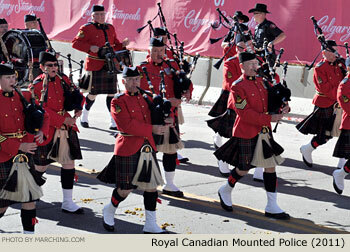 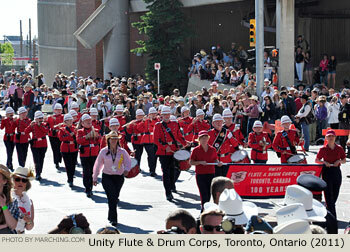 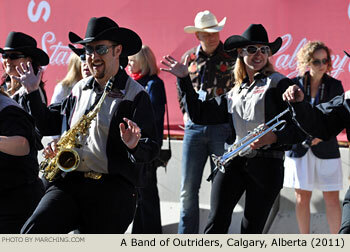 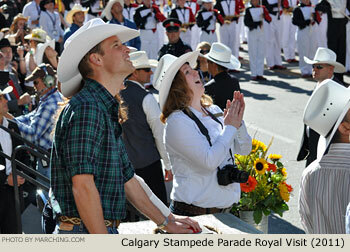 The marching bands from the 2011 Calgary Stampede Parade are pictured here in order of appearance. 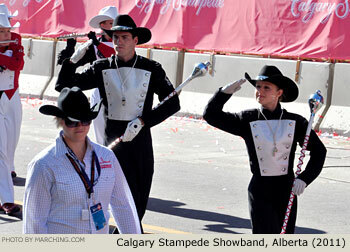 Also see: 2011 MACBDA Semi-Finals Photos.